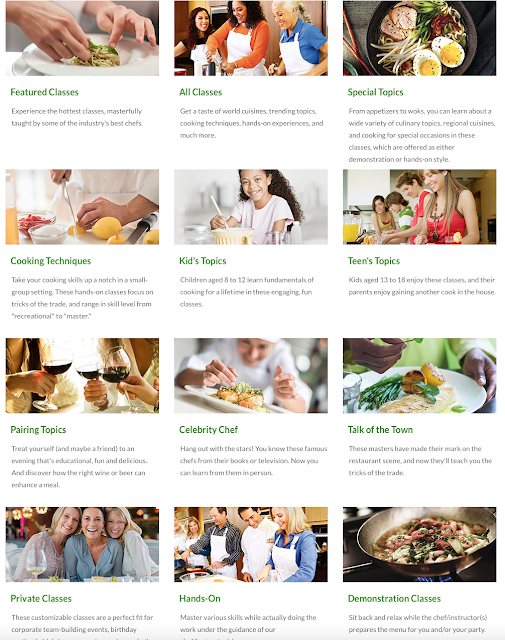 Did you know, that Publix offers cooking classes? It´s called the Publix Aprons cooking school. Until recently I had no idea about this myself, but my friend Virgina told us about it (thank you! 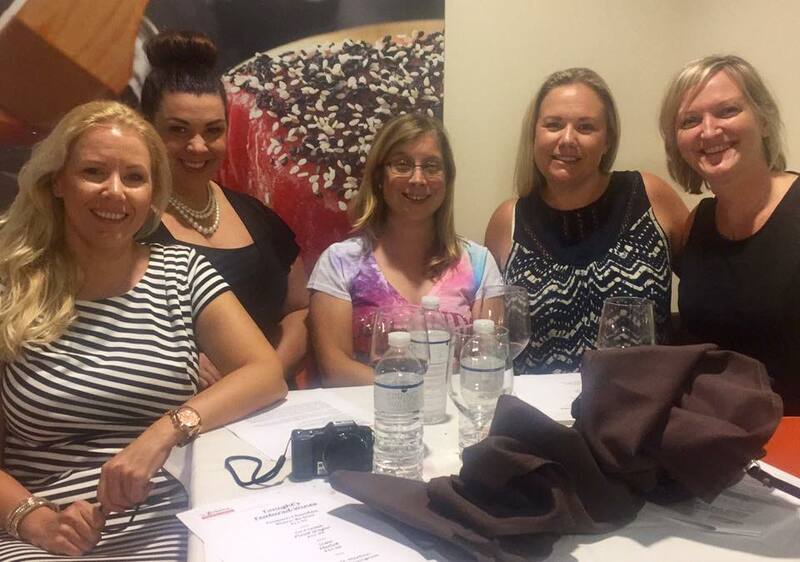 ), and then we booked ourselves a "Girls night out- women of wine". I paid around $50- so it wasn´t exactly cheap. 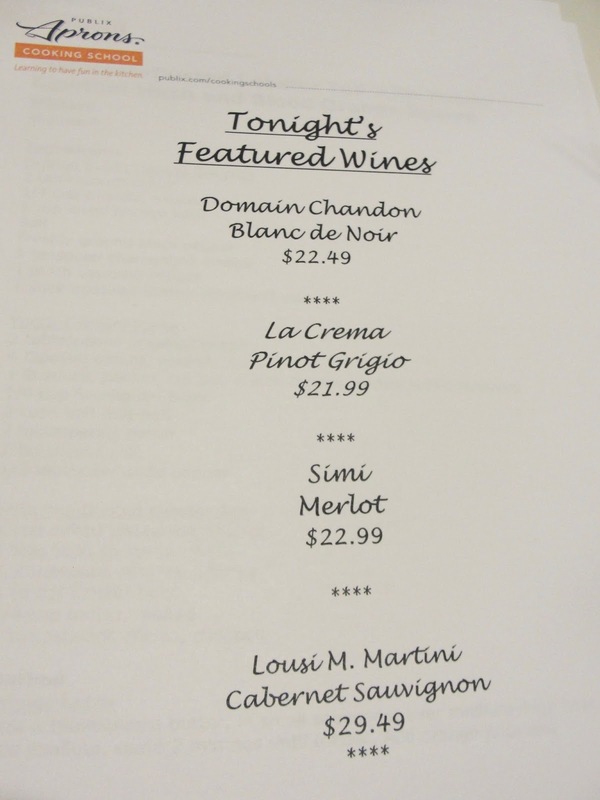 However, as the name of our class suggests, we were served exquisite wine to each course! 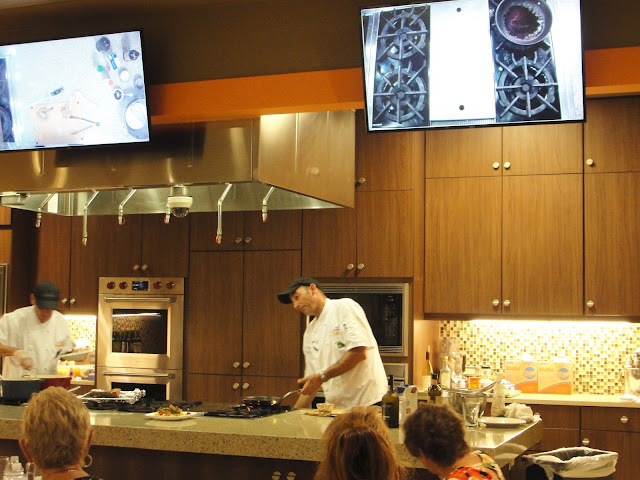 So, what exactly happens in a Publix cooking class? 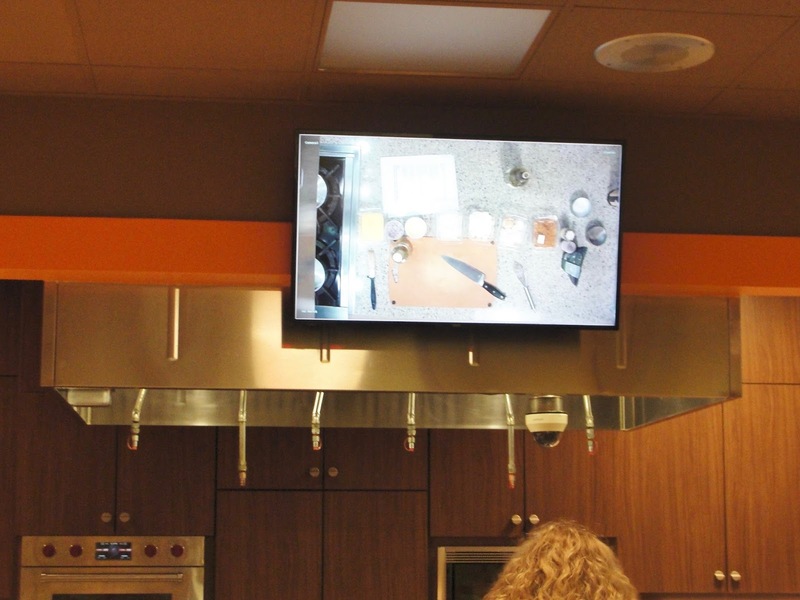 Publix offers a wide array of different cooking classes to choose from, and while some are hands on (you cook yourself), others are more laid back and you let the chef cook, while watching him on the monitors that hang on the ceiling. I actually thought I will cook myself- but our class was not such a class. We were the lazy ones, that watched the chefs cooking! 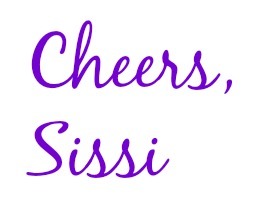 ;-) While drinking ourselves! Ha! Lot´s of classes to choose from! I was shopping many times in that Publix store (in Sarasota), but never did I know that upstairs was a complete modern kitchen hidden- hehe! There were little cameras above the stove installed and we got to watch the cooking process via the monitors. 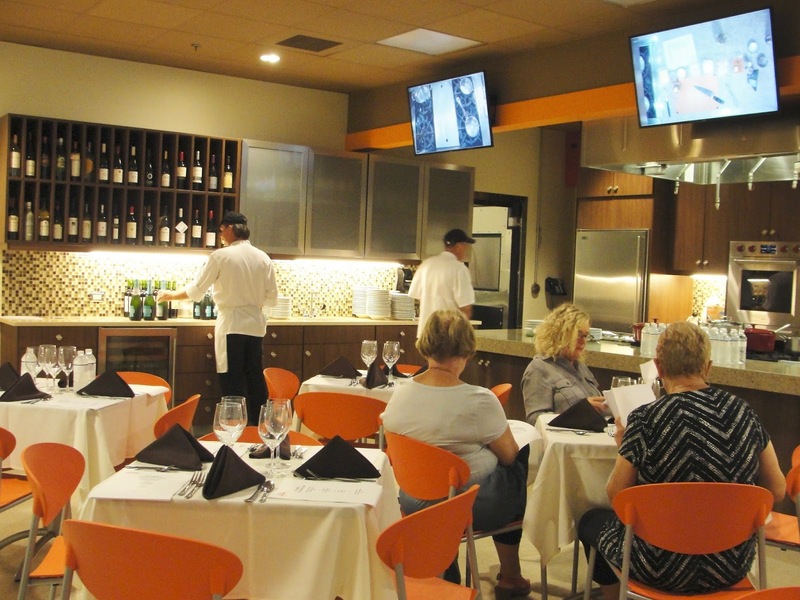 We had actually 3 different chefs that would alternate to prepare each course. 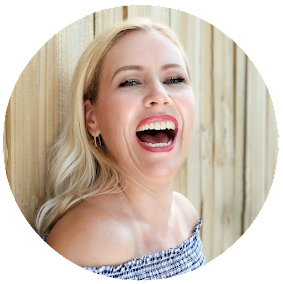 It greatly depends on the chef, how much fun this can get! I found 2 of them really funny- but one of the chefs seemed very stressed to me... (hint: it was the one above lol). 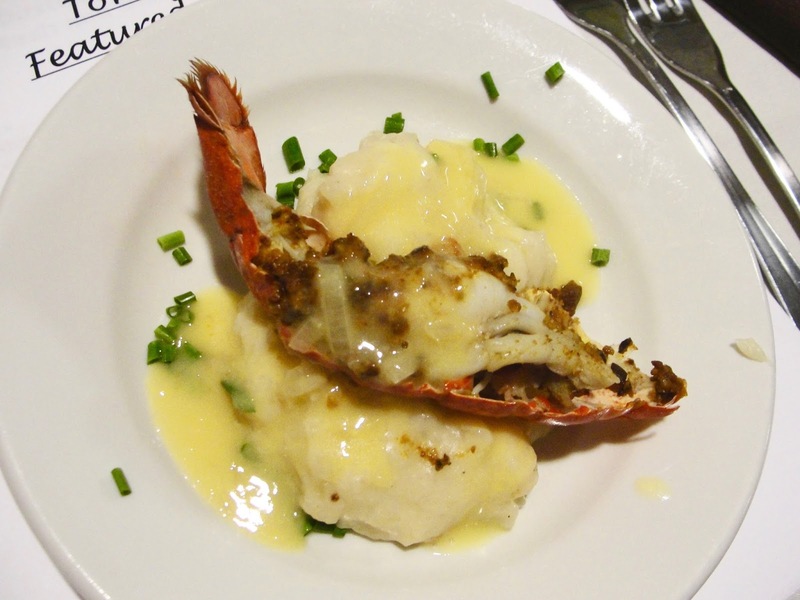 Pistachio-dusted lobster tail with yucca-cipollini mash and blood orange beurre blanc. 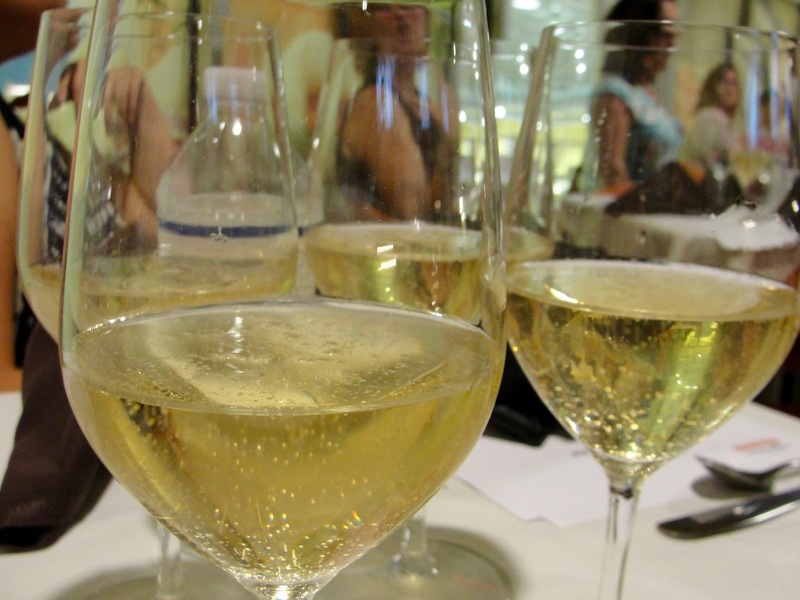 Served with a Domain Chandon Blanc de Noir. Oh my goodness, this tasted absolutely delicious! 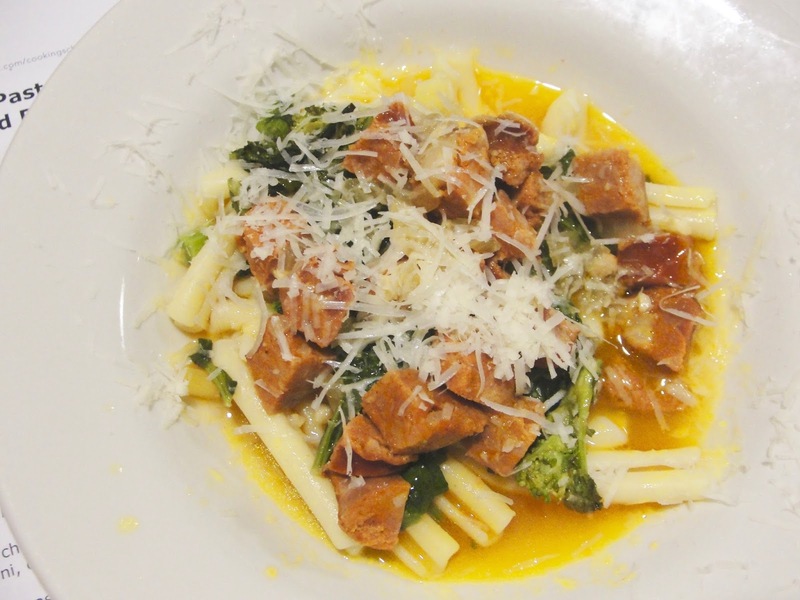 Casarecci Pasta with chourico sausage, rapini and pecorino-romano. Served with a La Crema Pinot Grigio. Personally I was a little under-whelmed by this one. Sure sounds fancy, but I thought it was just pasta with sausage in a little broth. LOL. But you know, our taste buds are all different and my girlfriends all LOVED this course. 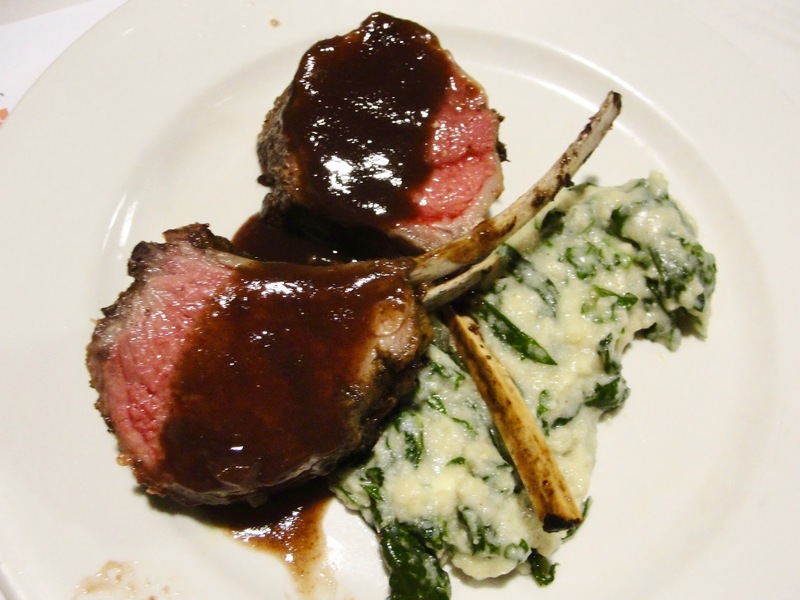 Porcini-crusted rack of lamp with Agave-port demi-glace, swiss chard and polenta with gorgonzola dolce. Served with a Simi Merlot. So, the lamp was out of this world: buttery and soft and the sauce too- however the polenta was a bit too heavy for my taste. Geez: should´ve seen the chef putting in THAT much polenta (which is basically flour out of corn). 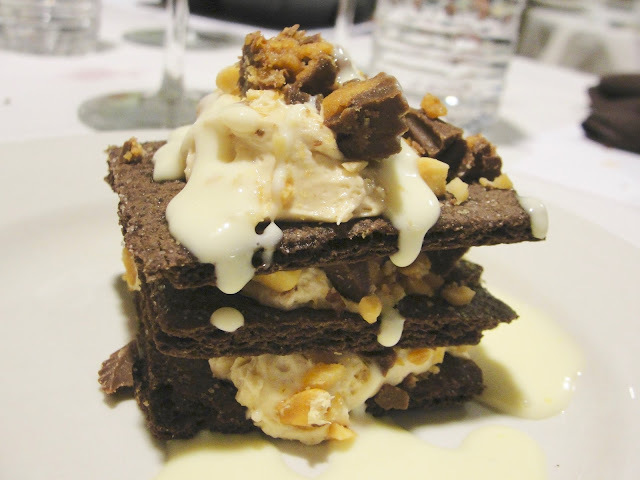 Dark chocolate and peanut butter lasagna, served with a Lousi M. Martini Cabernet Sauvignon. Oh! I could swim in this! What is inside? Cream cheese, peanut butter, powdered sugar, heavy cream, vanilla extract, frozen whipped topping, peanut butter cups, salted peanuts, chocolate graham crackers and hazelnut creme anglaise. Yum. The actual recipe of the dessert. I need to re-create this! This was out of this world! My girls-group in Florida with full bellies! Miss you!!! My favorite part was really to try all these different wines (priced from $22 to $30 per bottle), hang out with my friends and the dessert! Yum! So, is it worth is? It absolutely is and I would do it in an instant again. 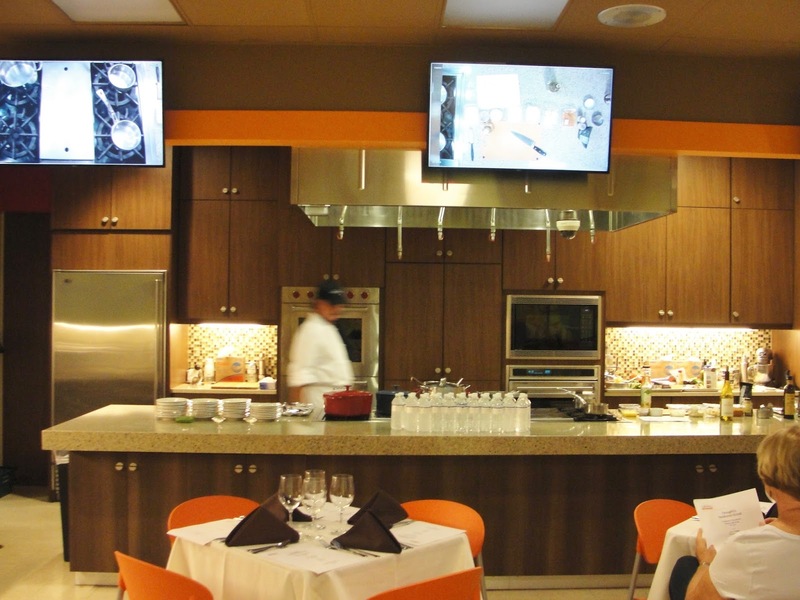 Lucky me they have these cooking classes here in GA too. From what I can see, these Publix cooking classes are currently only available in Florida, Georgia and Virgina. Probably the only states that have Publix? 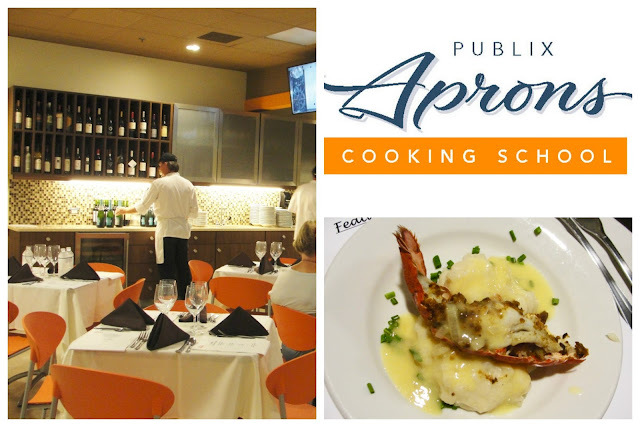 Find out more about Publix cooking classes here. 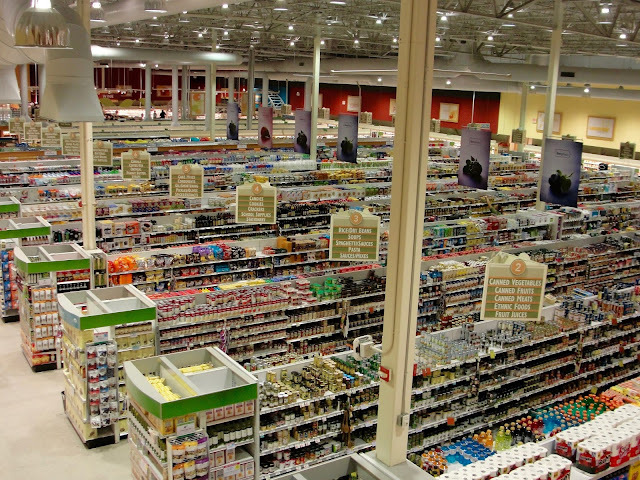 Publix from upstairs- cause it looks cool, doesn´t it? I paid for this. Nothing to disclose.